The piano is a good first instrument as the pianist achieves a rewarding sound quite quickly. Keyboards are very often chosen as the starting point but unfortunately can be very limiting, with the next stage requiring a digital or real piano. Try to choose the best instrument you can afford, as it will be more encouraging, rewarding and enjoyable to play. 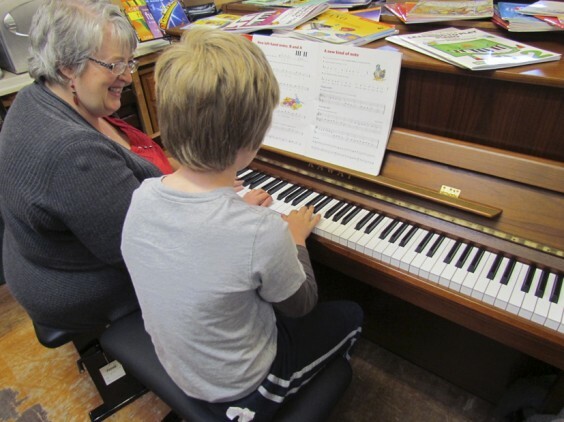 If possible, position your piano somewhere sociable, as children love to share their progress with you. Investing in a good piano teacher will also make a big difference. In the heart of the Worcestershire countryside is Vale Pianos, a well-established family business owned and managed by Linda and Craig Lowe. They are passionate about pianos and have a vast knowledge gained over 30 years. Vale Pianos’ friendly, informative team can help answer people’s questions and advise parents who are unsure of the type of piano to choose as a starting point for their children. There is also plenty of choice for the more experienced pianist. Vale Pianos have also received many awards from piano manufacturers. Piano tuners, teachers and customers recommend it as a marvellous place to visit. Vale Pianos have an impressive selection of over 100 new, pre-owned and digital pianos on display, along with workshops to undertake minor repairs to full restoration.